RPMC Lasers offer one of the broadest wavelength selections of Laser Diodes available. 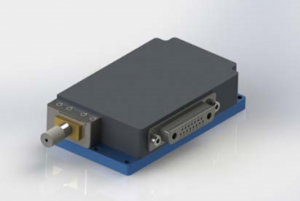 Our Diode Laser products include multimode single and multi-emitter fiber coupled modules, single mode laser diodes, laser diode bars, and stacks, and VCSELS. We offer fiber coupled options on most devices and complete systems if preferred. Laser Diodes are available in the UV, violet, blue, red, and IR wavelengths. 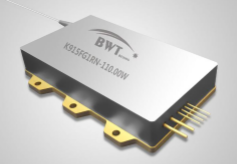 The output power ranges from mWs on the single mode laser diodes, to watts in the multimode emitters and VCSELS, to multi KW on the laser diode bar and multi-emitter fiber coupled modules and systems. There are many different packages to choose from and if you do not see the package type needed, we offer many custom packages. Use the filters along the left side to narrow the number of laser diodes to your requirements. More details on the filters at the bottom of the page. Type – This filter will narrow your search based on the physical emitting area of the laser diode. Single emitters can be multimode or single mode laser diodes, they have a single emitter emitting light. Multi-emitters include devices that utilized multiple single emitters in the package, usually fiber coupled. An Array or laser diode bar includes multiple emitters in a single substrate. Laser diodes bars can have 10 to 50 emitters and are typically 1 cm long. Stacks use laser diode bars built up, either vertically or horizontally, in the single package. Microchannel cooling is often used in laser diode bar stacks. VCSELs (Vertical Cavity Surface Emitting Laser) emit light perpendicular to the mounting surface as opposed to the parallel to the mounting surface like edge emitting laser diodes. Turn-key Systems include the laser diode, the optics, the thermal management, and the electronics required as a complete system that requires minimal setup time. Mode – The mode filter is used to define mode emitting from the laser diode. Single Mode laser diodes have a small emitter that limit the number of modes to one. Single mode laser diodes offer lower power, but much high brightness than multimode laser diodes. Multimode laser diodes have a larger emitting area that offers higher power, but the beam characteristics are not as good. Wavelength Selection – If an exact wavelength is not needed, this filter groups the lasers by wavelength. Options include UV, Violet, Blue, Green, Red and IR wavelengths. Output – This filter defines either a free space or fiber coupled output. Your application may determine whether you need a fiber or free space beam. 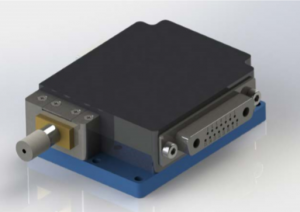 Free Space – Most laser diodes have a fast axis and slow axis divergence, the exception is VCSELs. Collimating the light from a laser diode can be challenging. Fast axis collimating (FAC) lenses and/or Slow axis collimating (SAC) lenses are available on some devices. Fiber Coupled – The output from fiber-coupled laser diodes is typically 0.15NA – 0.22NA depending on the fiber used. Fiber Delivery can simplify and add flexibility to your design, with an added cost. Collimating the beam after the fiber is much easier than free space laser diodes. Duty – Defines the percentage of the time the laser diode will be operating. CW (Continuous Wave) is operated full time. Typically for periods longer than milliseconds. QCW (Quasi-CW) is operating with pulses typically in the microseconds, longer than nanoseconds and shorter than milliseconds. Pulsed is used for pulse widths in the nanoseconds. Technology – This filter selects the basic laser diode technology used. Fabry-Perot is the basic edge emitting laser diode. Distributed Feedback (DFB) laser diodes have an internal grating which locks the wavelength. Volume Bragg Grating laser diodes use an external grating to lock the wavelength. Wavelength – Select the exact wavelength needed. CW Power – Select the exact output power needed. Package – If you are needing a specific package type, this filter narrows your selection. Package Cooling – All laser diodes require some sort of cooling. 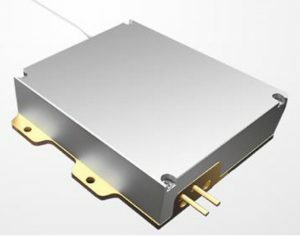 Conductive Cooled devices will require mounting to a heatsink that will conductively remove the heat from the laser diode. Depending on the amount of waste heat, the heatsink may be very small and simple, or much more elaborate with water cooling. Water Cooled devices have the water channels designed in and will require a connection to the appropriate water supply. Narrow Linewidth – The filter will select the stabilized laser diodes with a locking feature (either DFB or External Cavity) that locks the wavelength to a narrow linewidth. Manufacturer – If you are needing a laser diode from a specific manufacturer, this filter will narrow your search.